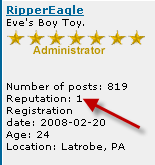 The reputation system, as you have noticed, is a sub part of the point system. It also works with points. 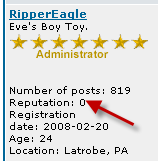 Reputation is composed of items related to evaluations by users and items related to the feature "Thank you". 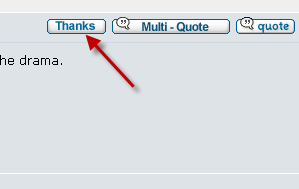 - Enable the "Thank You" option : This option will display a button "thanks" in the topic that you started, and you can click it once by topic if you feel that the reply given by the member is the most relevant. 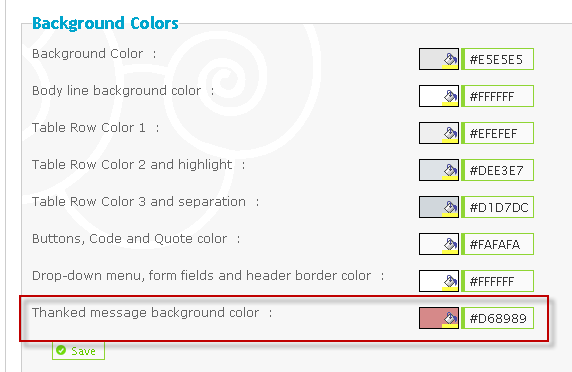 - Display this field in : Define if you want to display this field in the profiles, messages, or nowhere. - Display this field for users that are at least : Define who can view this field, guests, members, only moderators or administrators. - Default Value : Lets you define how many points each member begins its reputation with. 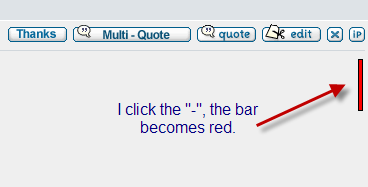 - Delay between two votes by a user :Allows you to define a separation (in seconds) between 2 votes. 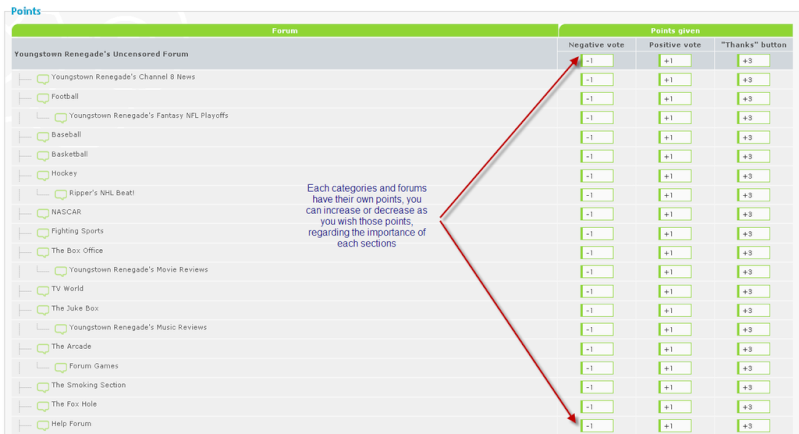 You can also set the number of points awarded for each vote, and the button "thanks", for each sections and categories of your forum. Depending on the importance of a particular category, you simply define a number of points. Now let's see the result in a topic. 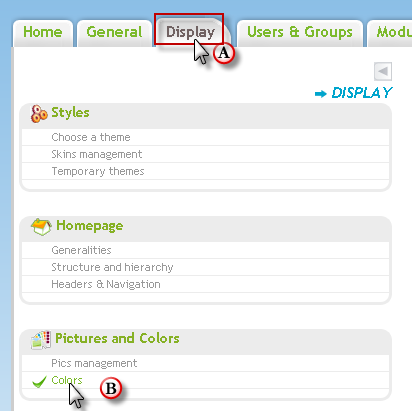 Check out also in your admin panel : Display > pics management > advanced mode > buttons > make sure you've got buttons for this functionality.